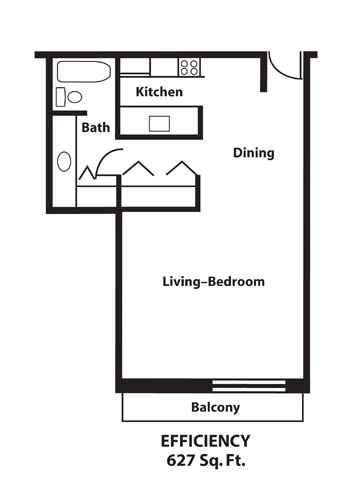 Extra large efficiency apartment with full kitchen. Large balcony with a great view of swimming pool. Limited availablity.